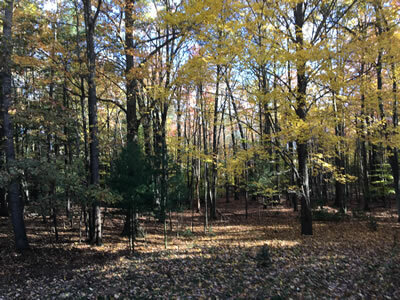 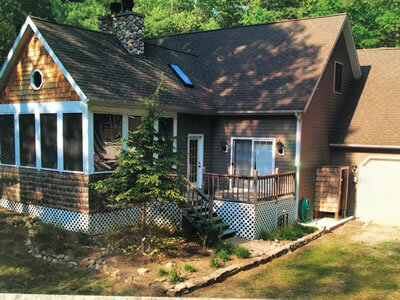 Private setting nestled in a clearing in the woods, very near Silver Lake Sand Dunes. 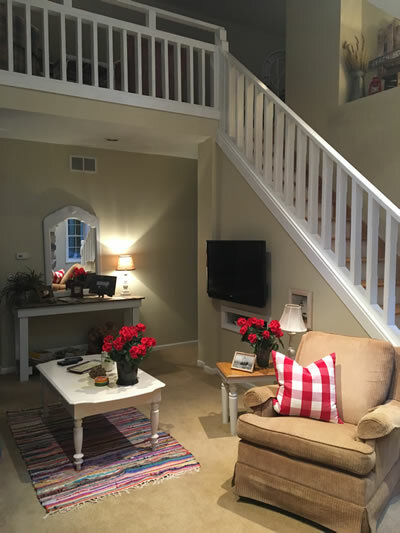 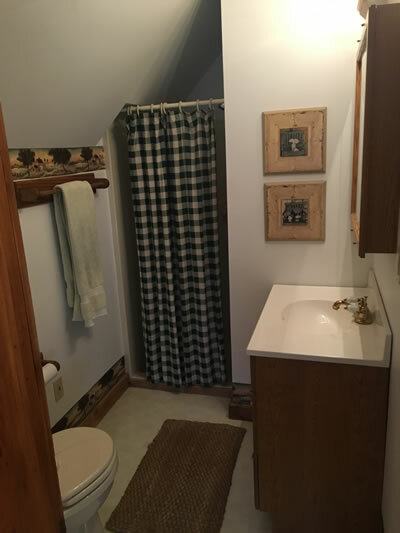 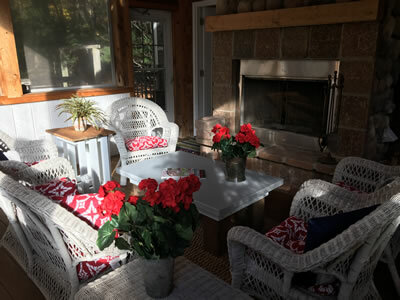 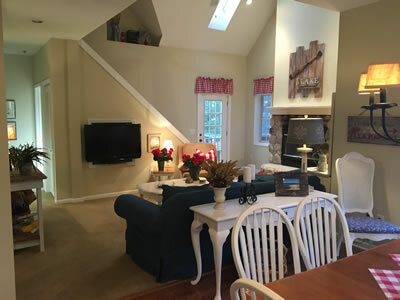 Charming, private vacation getaway cottage nestled among acres of woods yet steps from Silver Lake dune access, all Silver Lake amenities, and dune buggy State Park entrance. 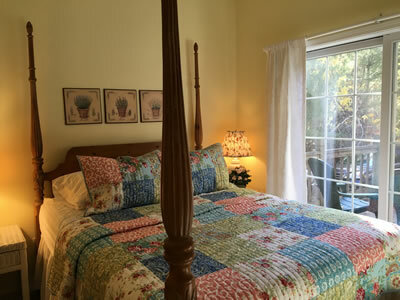 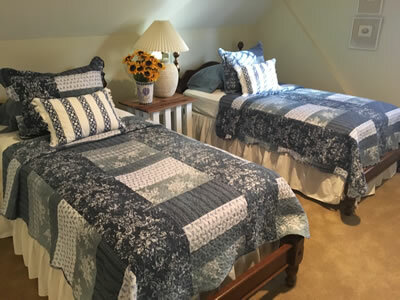 The main house has 2400 square feet of open floor plan, two bedrooms, both with queen beds, plus a large loft. 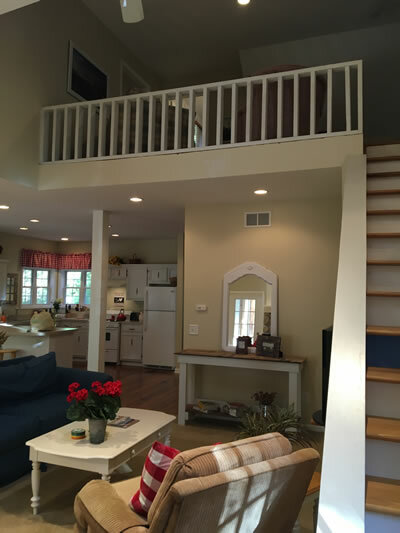 The master bedroom has a slider that opens to one of three decks with views of the woods. 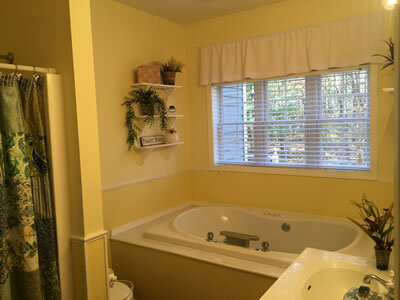 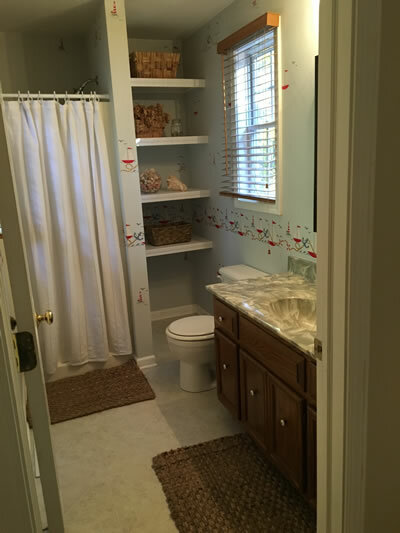 First floor bath boasts a large tub and separate shower. 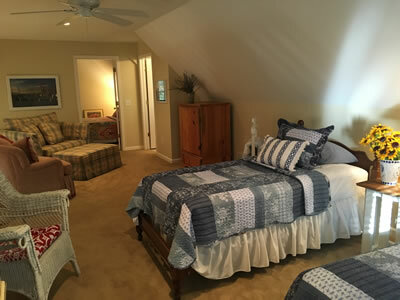 Second floor has separate queen bedroom off loft area and loft with two single beds, a single sleeper armchair, and additional single along with a full bath with shower. 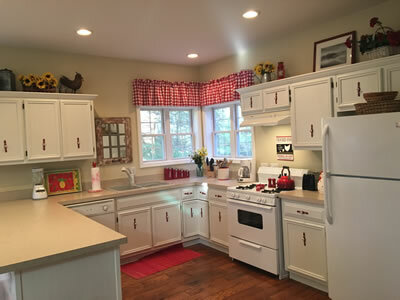 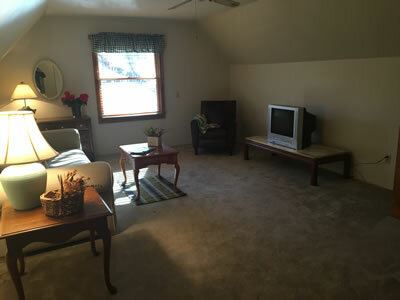 The separate quarters over the attached two car garage has queen sleeper sofa and a full bath. 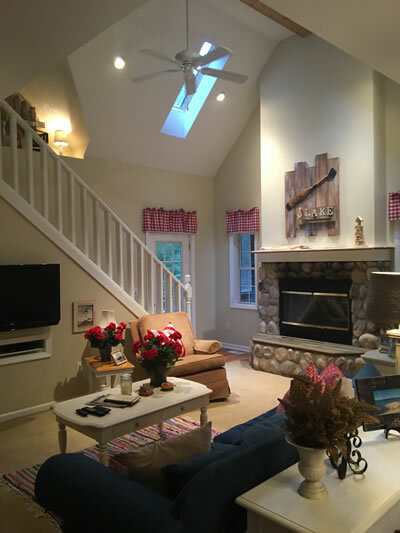 Vaulted living room has skylights. 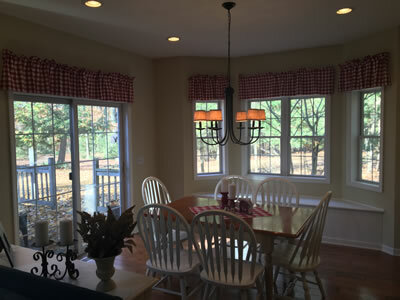 Wonderfully appointed screened-in porch has vaulted ceilings. 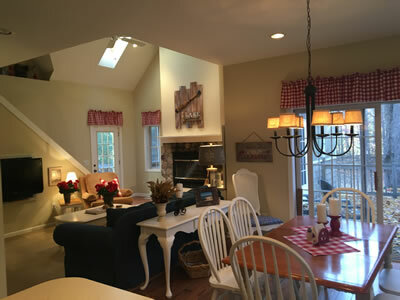 The open kitchen seats up to 8 at the table and another 3 at stools at large countertop plus window seat. 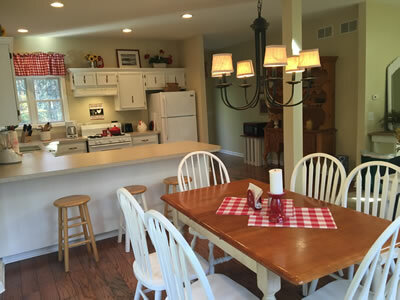 Kitchen slider opens to large deck with dining table seating for 6 and brick patio with swing overlooking the outdoor firepit. 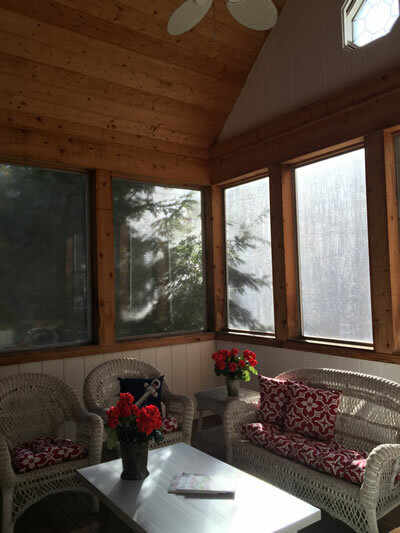 Another deck off the rear of the kitchen offers chairs and peaceful views of the woods. 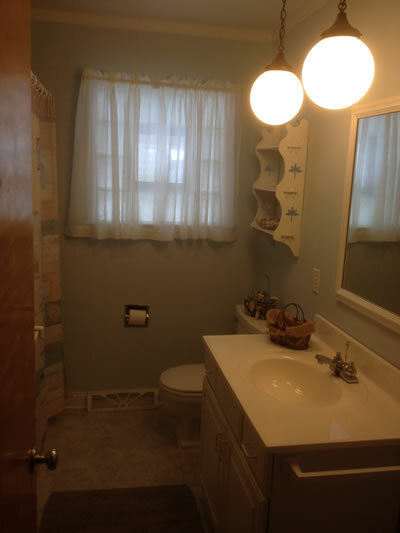 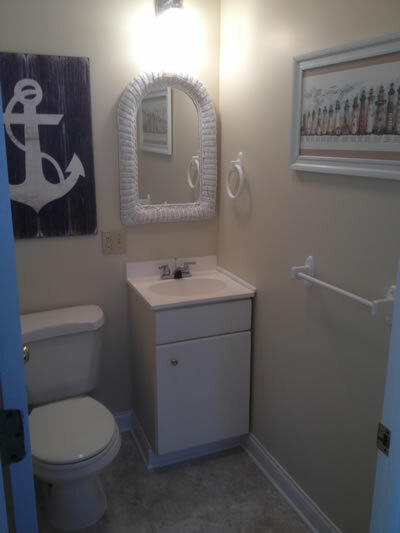 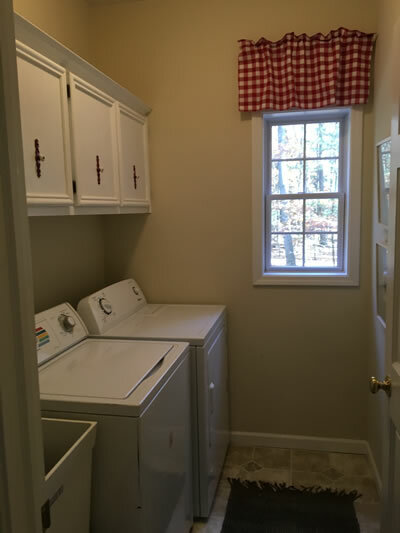 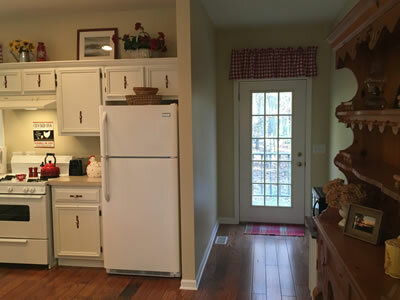 Laundry room with washer and dryer and separate mud room for storage. 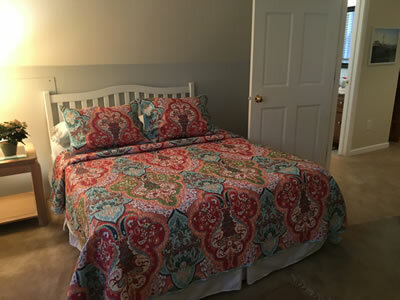 Dishwasher, microwave, ceiling fans, outdoor shower, central a/c, Wifi, Netflix, three tv’s, DVD’s, outdoor gas grill, bikes, beach umbrella, beach chairs, hammock. 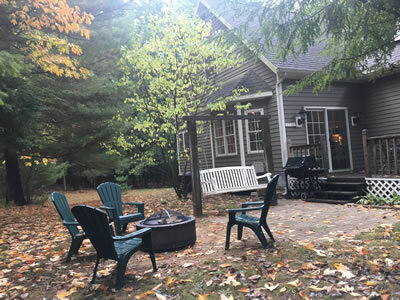 Flexible Labor Day long weekend.